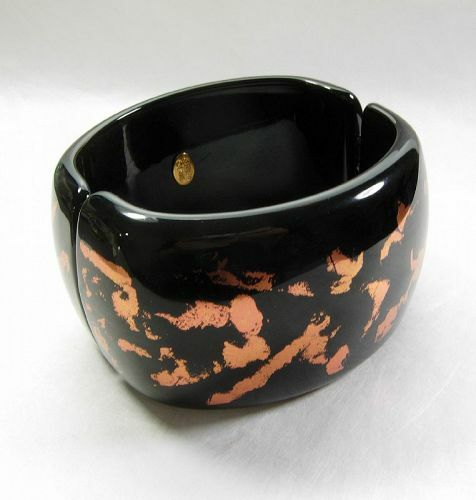 Chic big statement hinged cuff bangle bracelet by Kenneth Lane in heavy black Lucite with metallic copper color flashes. Marked Kenneth Lane. Spring close. Great size -- 1 7/8 inches wide and inside diameters are 2 9/16 inches and 2 3/8 inches. Excellent condition. Display form is life size. Photos enlarged to show detail.